The 28th of November marks World Access to Higher Education Day (WAHED). As high-tech machinery, AI, big data analytics, computers and software applications continue to take the place of many traditional jobs, the role of education in the 21st century is more important than ever. Education plays a vital role in enabling citizens to participate fully in society. Article 13 of the UN General Assembly's 1966 International Covenant on Economic, Social and Cultural Rights (ICESCR) proclaims education as a right that enables citizens to "participate effectively in a free society." A recent report, "All Around the World – Higher education equity policies across the globe," released at the WAHED conference held at Aston University in the United Kingdom, involved a survey of over 71 countries and eight international organizations, including the World Bank and European Union. The report was produced by Jamil Salmi and the Lumina Foundation and surveyed policies related to access and equality in higher education. 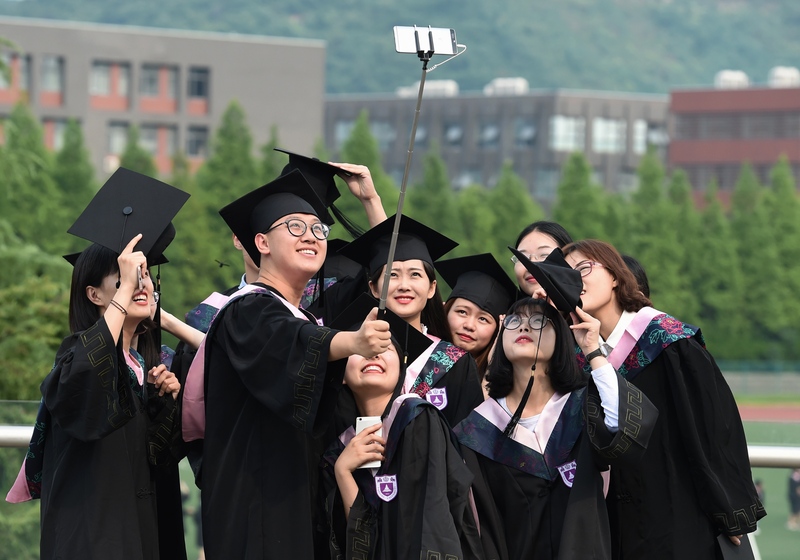 The report follows earlier research by UNESCO which revealed that in comparison to the top 20 percent, the poorest 25-29 year-olds have dramatically lower participation and completion rates for higher education. Salmi concluded that while almost every country advocates for equity and access to higher education, the gains have been modest. The report found that only 11 percent of the countries surveyed have elaborated a comprehensive equity policy document. The report commended Australia, Cuba, England, Ireland, New Zealand and Scotland for their commitment to providing equal opportunities of access and success in higher education. Reasons for inequality of access to education are varied and multi-faceted. They may involve economic disadvantage, geographic isolation, violence, sexual abuse, gender, inability to speak the national language, cultural differences and more. • Providing support for students from impoverished backgrounds. • Developing specific strategies for particular groups, such as gender equality programs in Afghanistan. and programs which target students disadvantaged by their geography and lack of infrastructure. • Creating an overarching policy goal and structures to both monitor and promote progress cooperation among countries and international organizations. This would involve sharing knowledge on how best to collect and monitor data so that progress can measured. • Build social capital. Improving access requires community support and the creation of high expectations for learning that are conveyed to all members of the community. • Support local government and local autonomy in schools. Education at all levels is best supported when significant autonomy and resources are provided at the local level and not just imposed top-down. • Partner with parents. It is important that governments and other organizations support, partner with and empower parents in their role as vital stakeholders in educating the next generation. In this regard, much more should be done to advance early childhood education. This point was made by economist James Heckman: "Early investment in the lives of disadvantaged children will help reduce inequality, in both the short and the long run." • See education as a lifelong activity. Due to automation and rapid technological change, the job market of the 21st century will be ever changing and thus require continuous learning. • Focus on infrastructure. One of the major barriers to equitable access is geography. Countries must continue to enhance infrastructure that make education more accessible for those in remote areas. • Encourage social entrepreneurship activities such as the Barefoot College in India and the Khan Academy, which both provide free access to education to millions of children every day. As stated by well-known social entrepreneur, Muhammad Yunus, "The developing world is full of entrepreneurs and visionaries, who with access to education, equity and credit would play a key role in developing the economic situations in their countries." • Develop valid measures of progress, shared research and data from around the world so that we may see continuous improvement in achieving equitable access to education. I conclude with the words of the late Nelson Mandela who noted that, "It is not beyond our power to create a world in which all children have access to a good education." Due to rapid technological change, the job market is transforming, and action needs to be taken to ensure citizens across the world receive a decent education.